UK-based Baxters Food Group has sold its Canadian division to a consortium including private-equity firm Champlain Financial Corporation. Baxters was already exporting to North America when it snapped up Canadian supplier SoupExperts in 2004. 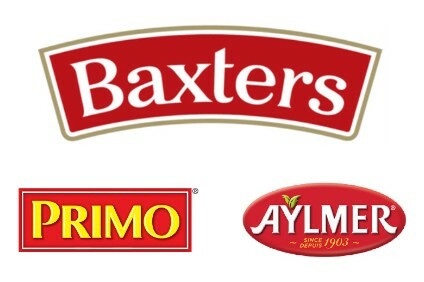 In Canada, Baxters has been marketing canned soups and sauces under the Baxters, Aylmer and Primo brands, as well as manufacturing for private-label and industrial customers. It has a plant in the city of Saint-Hyacinthe in south-west Québec. The deal was announced today (18 June) by Baxters Canada and the four members of the consortium - Champlain, Quebec venture-capital firm Fonds de solidarité FTQ, local asset manager Fondaction and Investissement Québec, an investment organisation in the province. Fonds, Fondaction, Investissement Québec are each investing CAD$8m (US$6m) and will become Baxters Canada shareholders. Daniel Cousineau, the president and CEO of Baxters Canada, said: "We have an ambitious growth plan that includes acquisitions and geographic diversification. That's why we're thrilled to team up with the Fonds, Fondaction and Investissement Québec, because all three partners share our vision and have the expertise and financial wherewithal to allow us to achieve our objectives." Alain Denis, senior vice-president for innovation and agri-food at the Fonds de solidarité FTQ, indicated Baxters Canada had plans to expand outside Canada. "With this acquisition, the Fonds can help fuel the growth of agri-food exports and position a Québec company in a mature sector that is undergoing consolidation in Canada. Baxters Canada is poised to penetrate the US and Mexican markets as well as develop new products. We have confidence in the skills and experience of the management team, whose mandate will be to drive the company's growth."